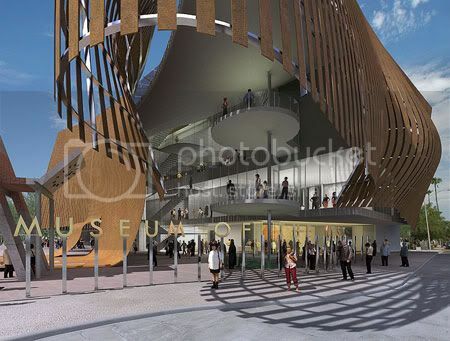 The new museum will offer a unique sense of place that celebrates the past, the present and the future... a place where the Old West meets the New West. Design Team: Jones Studio Inc. The Scottsdale Museum of the West will be a public attraction that becomes a "must see" destination in historic downtown Scottsdale. The city has long been recognized as a center for art, civic heritage, community celebrations and a focal point for cultural tourism in Arizona. 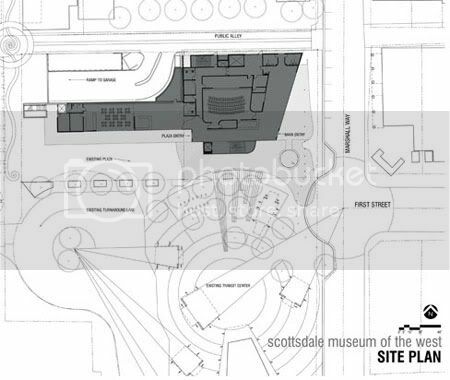 Scottsdale’s newest 45,000 SF museum will represent the intersection of Old West and New West. A slatted skin, reminiscent of an old barn, undulates, expands, and contracts to produce shaded outdoor public assembly space. Not unlike a cowboy’s straw hat, the building acts as a sun filter, heat mitigator, and cross ventilator. In addition, building water will be reclaimed, solar energy will be converted and roof garden’s will be planted and occupied – all working together to reset a higher sustainability “bar” for the New West. 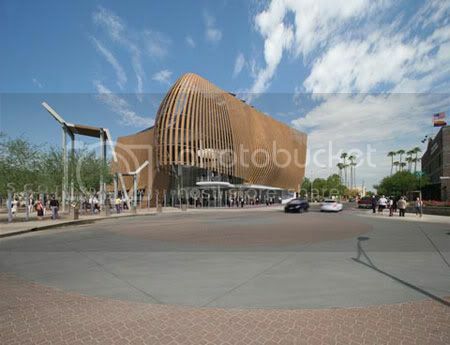 The new Scottsdale Museum of the West aspires to engage its visitors in the ever-evolving narrative of the Southwest, inviting them to discover in themselves the qualities that shaped this special region of the country – courage, audacity, creativity, resilience, and integrity. Great artists and their art are intertwined with the history of the time and place in which they lived. The museum weaves these stories together for present and future generations from the region and around the world. Scottsdale is the community in the Southwest where art meets history. This is where cowboys, ranchers, families, and business entrepreneurs mingle with gallery owners and art. 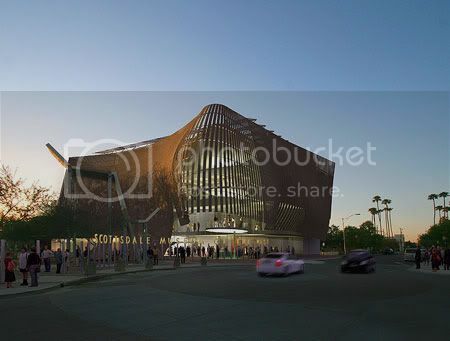 The proposed architecture of the Scottsdale Museum of the West responds to the local desert climate and the architectural history of the west. 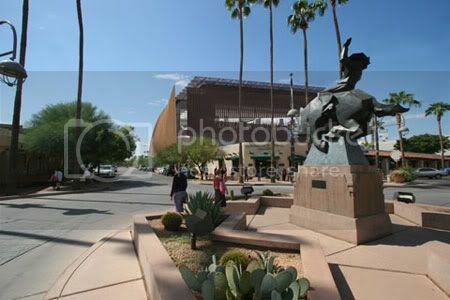 It connects to Scottsdale in both the past and the future via its commitment to a “Desert Modern” style of architecture where high performance, materials clad the skin of the building – providing shade and visual interest on all four sides. 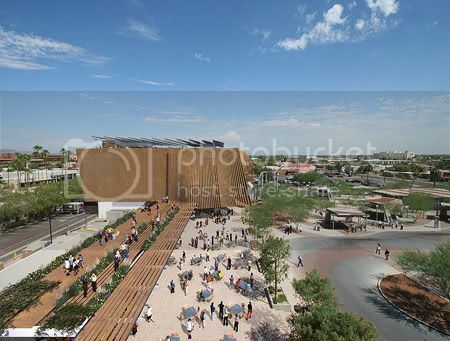 The proposed project serves as a significant public gathering space via a network of outdoor ramadas, pedestrian pathways, and a mixture of interior spaces that include an orientation theater, an experiential/participatory learning center, changing exhibits, gallery of icons of the west and terrace and sculpture garden (on the rooftop level). 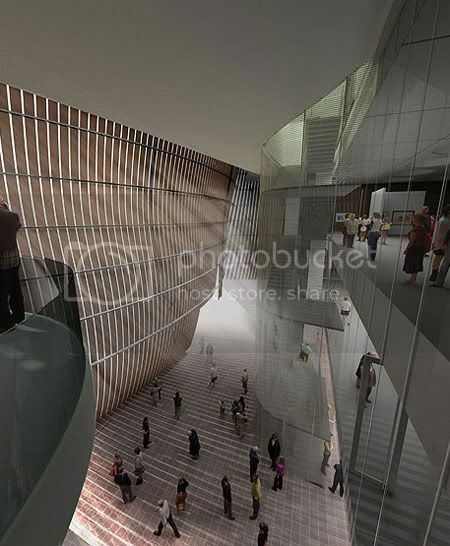 The proposed museum concept is based on its proposed role as hub/gateway for the downtown and as a landmark identifier for the arts & gallery districts.